We wrap up our Lenten series with Jacqui King, Director of Leadership for Congregational Vitality and Johnsie Cogman, Pastor of Mt. Zion (Georgetown) D.C., as we look at the topic of Promise. 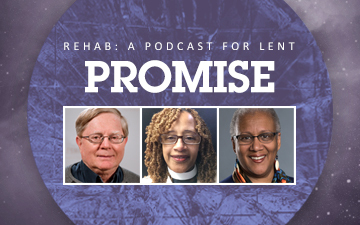 This podcast is based on the worship series Rehab and Rehab: A Group Study, created by staff at Discipleship Ministries of the United Methodist Church. During each podcast, you will encounter a leading edge pastor and a Discipleship Ministries staff person as they wrestle with what it means to enter into a time of spiritual, emotional, and physical change. 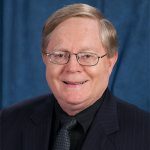 The five-part series is hosted by Craig Kennet Miller, author of Boomer Spirituality: Seven Values for the Second Half of Life and Director of Congregational Development. Look for our next podcast, The Future Of… which will be released soon. Perhaps the one thing that we can do is put our faith in this new covenant, this promise of forgiveness, reconciliation, peace and even prosperity that is, because of Christ, offered to all of us. This covenant will not be made with words. It will be inscribed on our hearts. It will come as an assurance in which we know for certain that God is with us and that God loves us whether we can feel it right now or not.